This is not a composite picture. I like this image because it looks like a composite picture although in fact it isn’t. We came across this tourist vessel moored alongside the bank of the river in Annecy, France last year. 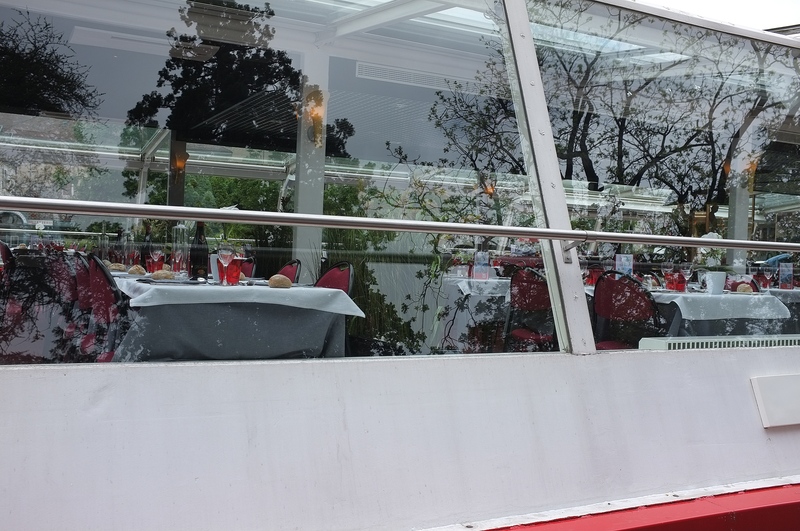 It has a glass top and sides so that tourists on board can have a 360 degree view of the scenery as the vessel cruises up and down the Annecy river. From the outside, you can see clearly the red chairs on the vessel, the glasses filled with water, the white table cloth, bottles of table wine, loaves of bread etc., at the same time, you can also clearly see the reflection of the twigs and leaves of the trees planted on the bank. We were loitering on the bank of the river, but it is not difficult to imagine what it is like to sit leisurely inside the glass boat, looking out at the fantastic views of the Annecy medieval town. There was so much to see in Annecy and I love what I saw. This image added to my liking of this beautiful place. 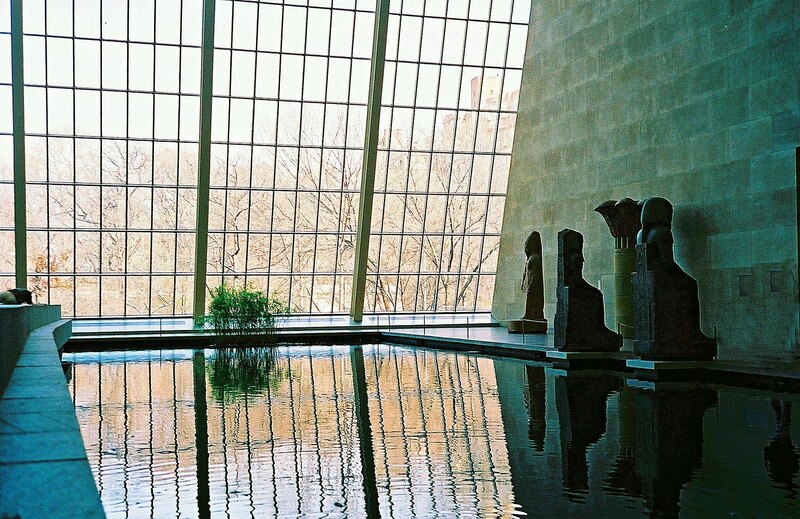 The other picture is an image taken casually at “The Temple of Dendur” in the Metropolitan Museum of Art in New York City. Apart from the faint image of the trees outside the windows, I like the lines of the window frames and their reflection in the water. Understand that I M Pei, my much revered architect, was involved in this part of the expansion of the museum.